There are many things that homeowners never want to hear when it comes to the structure of their homes. One is that they have dry rot. This is an aggressive fungus. It can cause serious damage to the structure of the home by causing it to become soft. It breaks down the wood fiber which it feeds on. Its name can be misleading especially since the fungus thrives in places that have high levels of moisture. The fungus is called ‘dry’ because the wood that it affects has already been dried and cured. The fungus that affects wood that has not been cured is known as wet rot. The edges of roofs. Be sure to check sections where the gutters are attached to the roof. 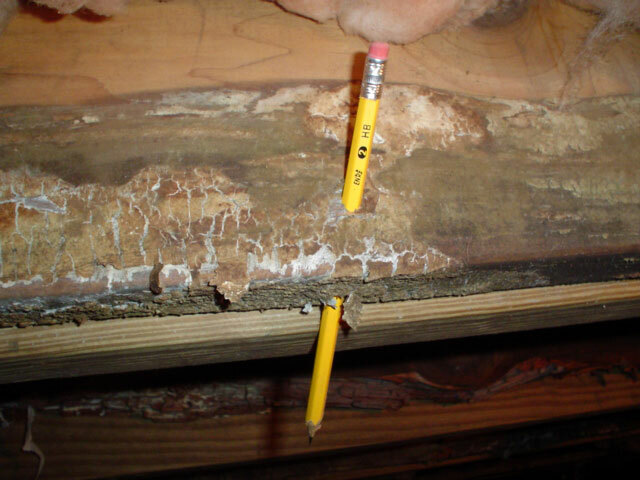 It is easy to identify dry rot when the wood is exposed. All you need to do is poke the wood with something hard and sharp to see just how deep the rot has gone. However, in many cases, the affected parts are not exposed. Rot often occurs in the inner-most parts of the house’s structure e.g. inside walls, beneath floors, in crawl spaces and under roofs. In such cases, you would need to know what clues to look for to determine if your house has been affected by rot or not. A musty smell is often the first sign of fungus infestations. If any part of your home gives off a musty or damp smell, be sure to investigate further. Are there timbers in the home that are shrinking or cracking? It could be that your windows or doors are not fitting into their frames properly. You may notice pieces of wood with spaces between them. Are your walls or floors spongy to the touch? If you find any soft spots in the timber around your home, you should have your home inspected for rot. If the paint on your wall is forming bubbles, you may also have the rot. These are formed as the wood beneath the paint shrinks.